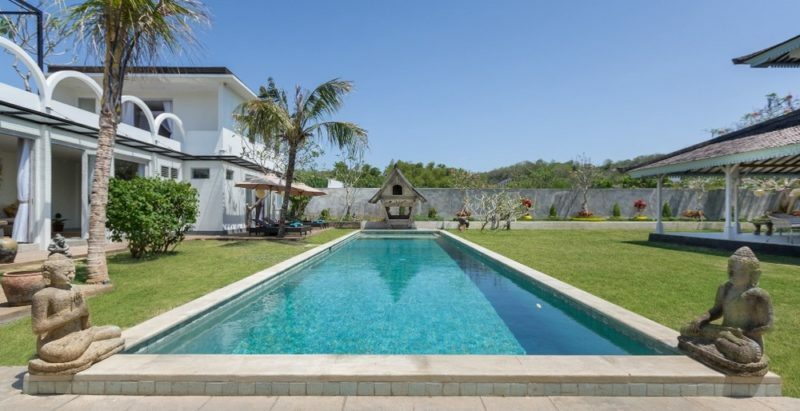 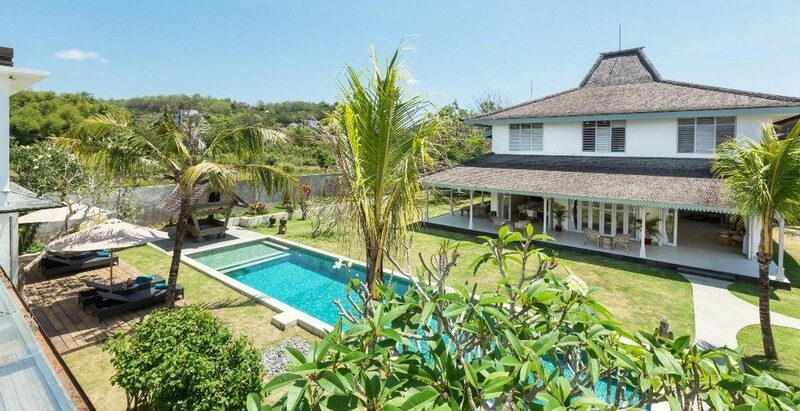 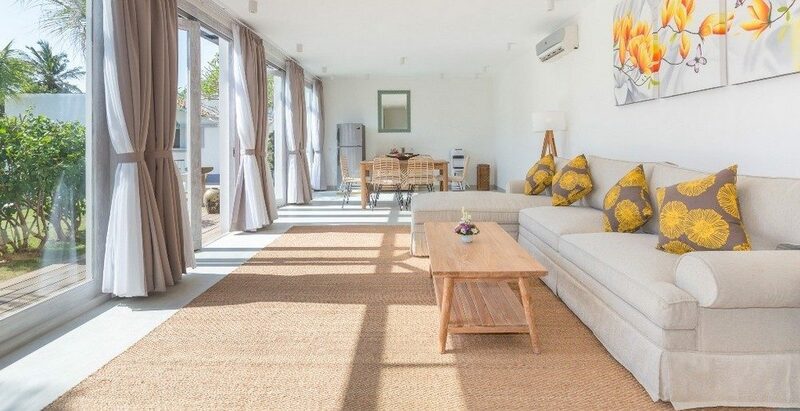 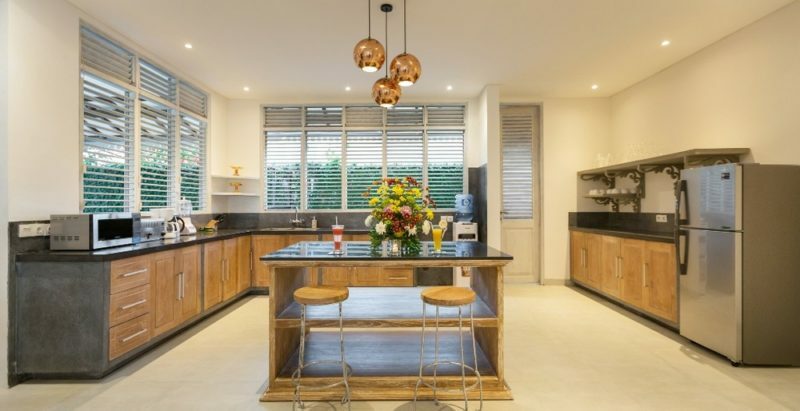 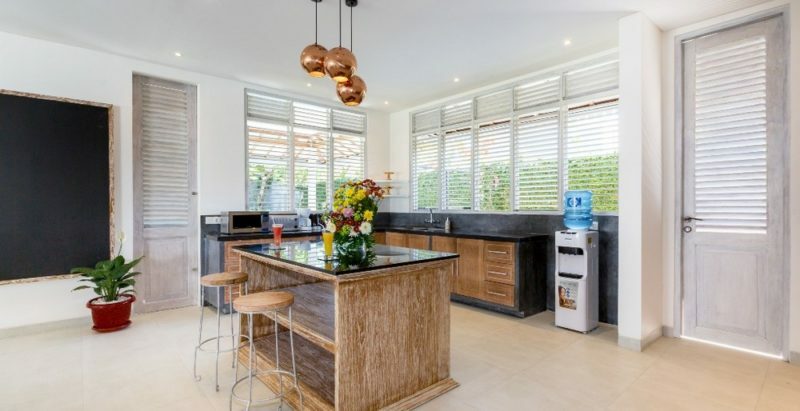 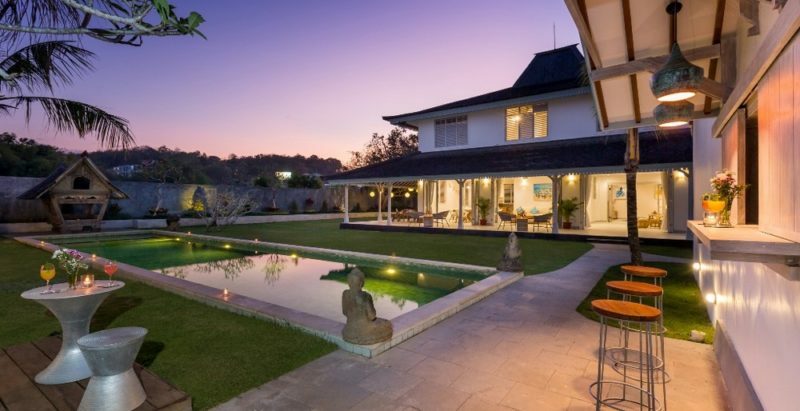 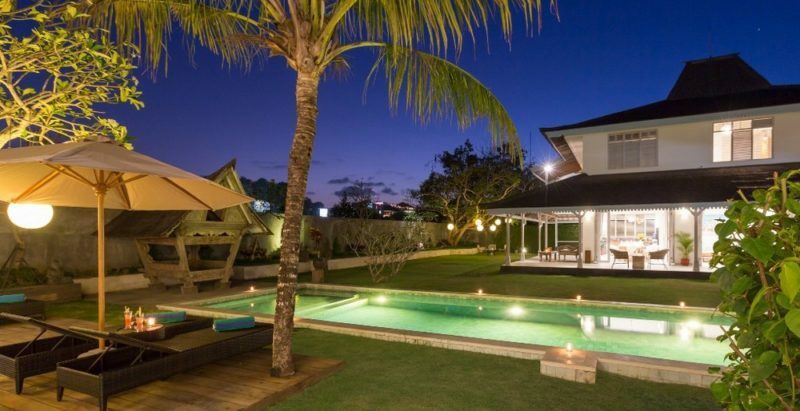 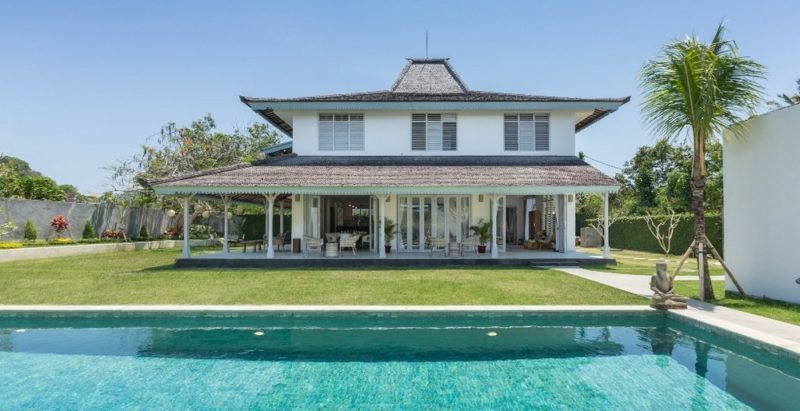 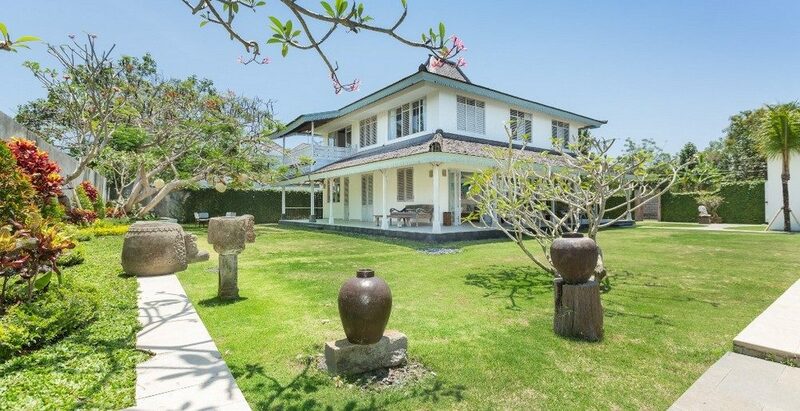 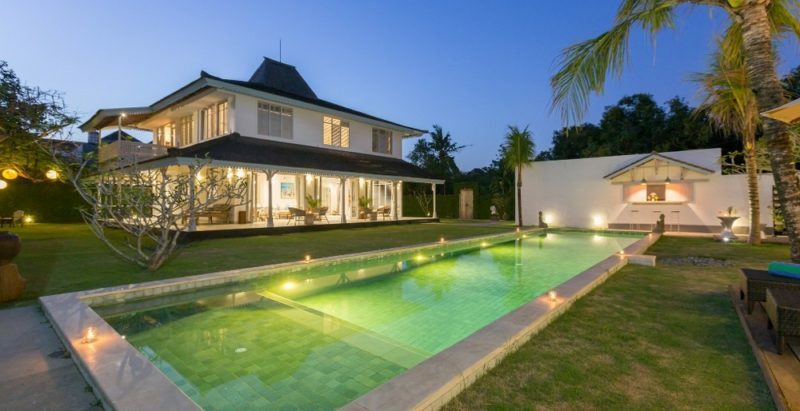 Villa Hasian nestled peacefully providing a country styled home with Indonesian twist on the details. 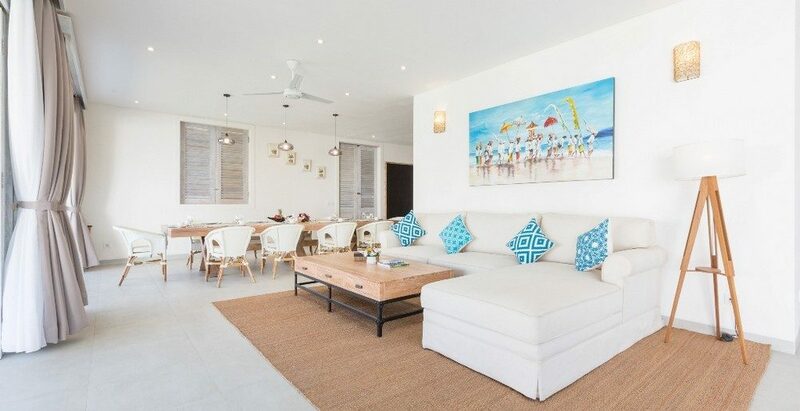 Completely re-decorated, plus ‘Brand New’ furniture throughout the villa that, colour co-ordinated to give the villa a warm modern style. 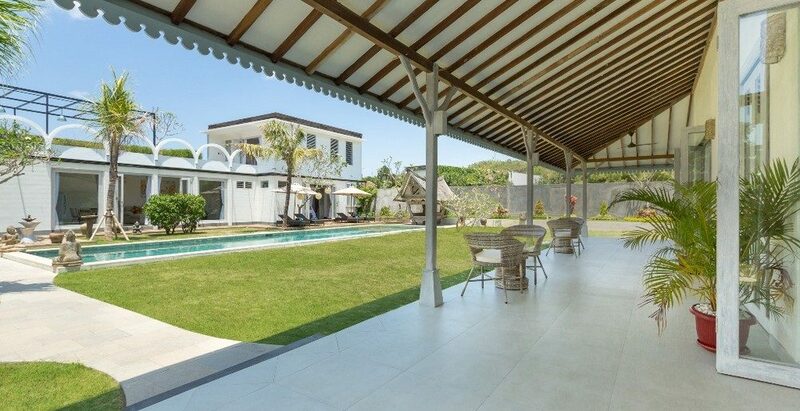 Situated on Jimbaran corner, only 10 minutes walk from the famous Jimbaran Beach and its delicious seafood BBQ row. 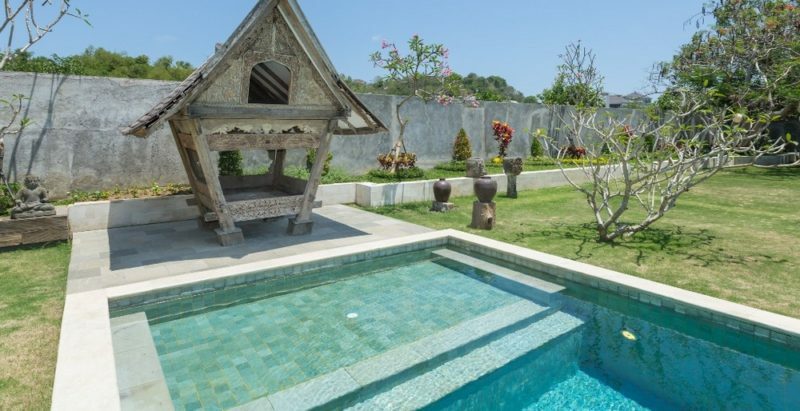 Entering the premises, Villa Hasian has two buildings; the main building is for 3 spacious bedrooms on the second floor and open plan living room on the first floor. 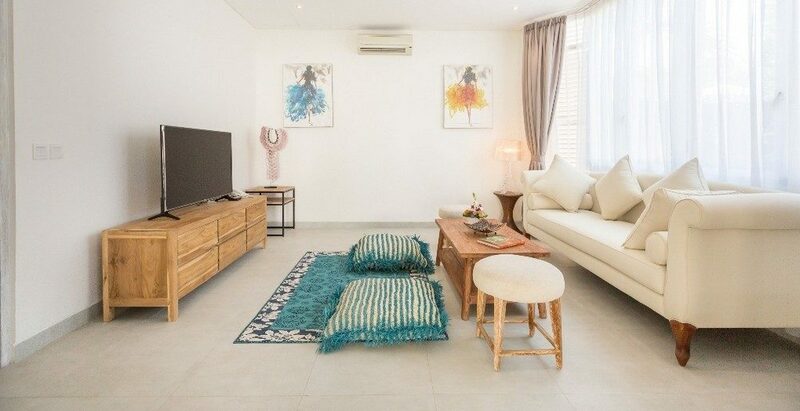 The pool area can be accessed from the lounge, whilst overlooking this area you have a fully equipped kitchen including microwave, refrigerator, range, and cookware. 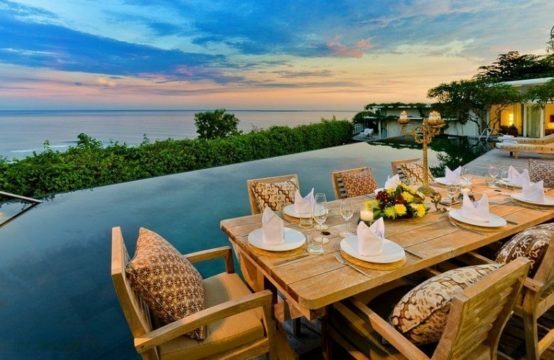 Everything you will need for a gourmet meal. 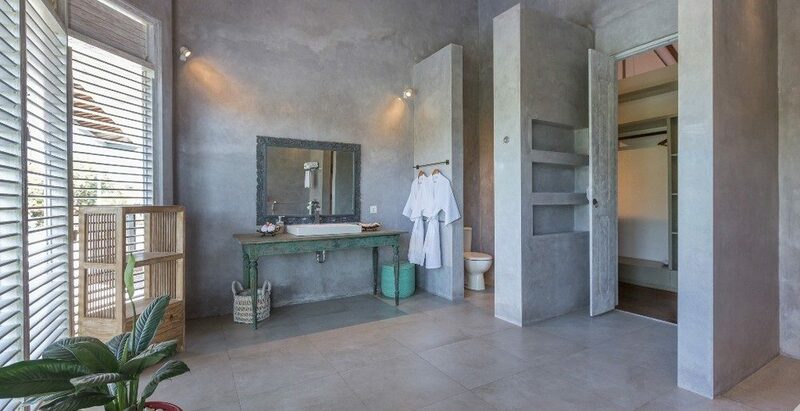 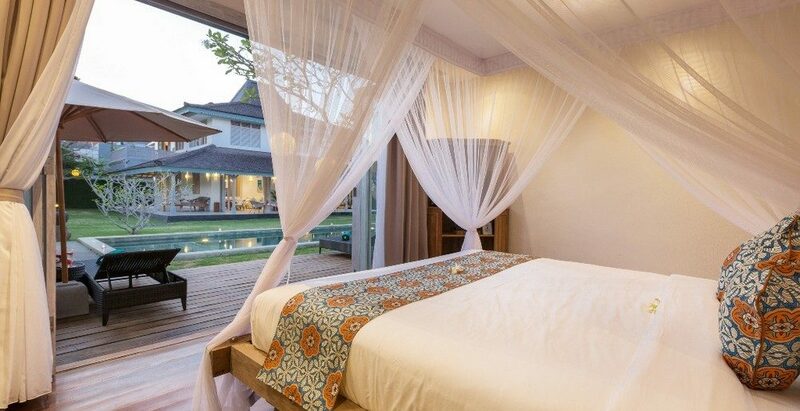 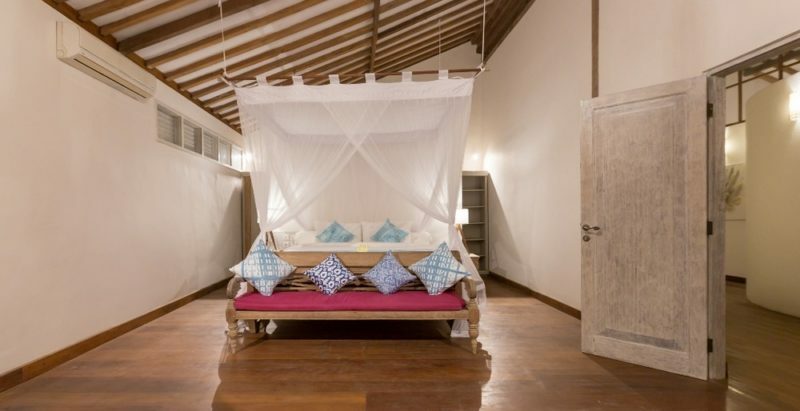 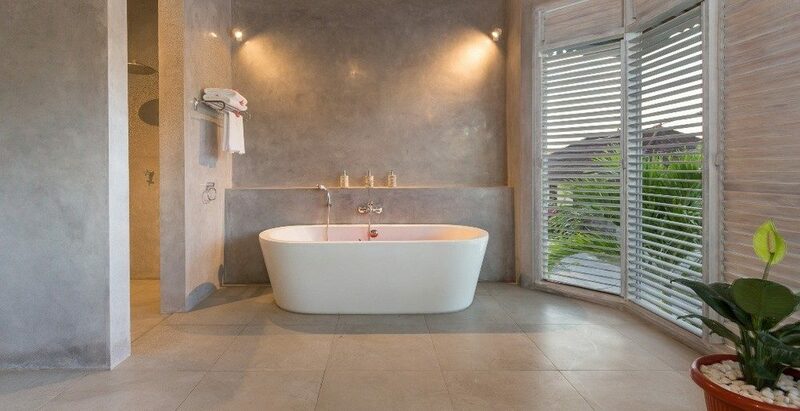 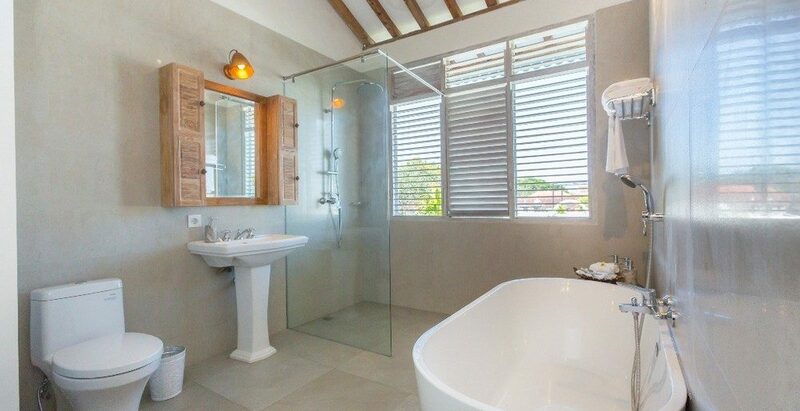 The spacious bedrooms has its own private bathroom and all equipped with beds overlooking the pool and garden area. 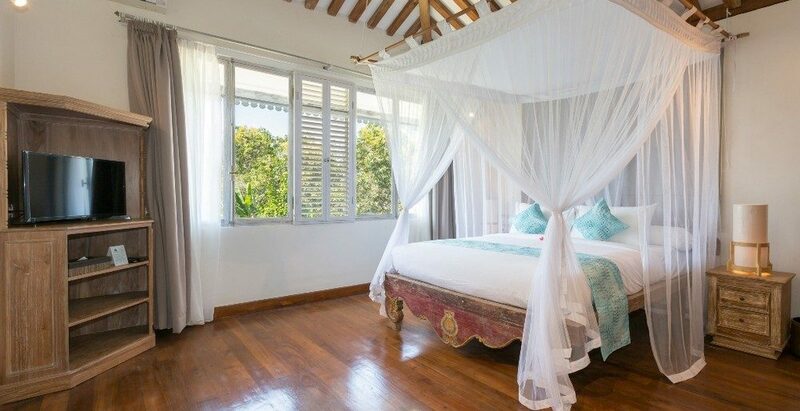 The subtle warm color of the pillows and mosquito net get in a beautiful contrast with hardwood floors that covers most of the bedroom area. 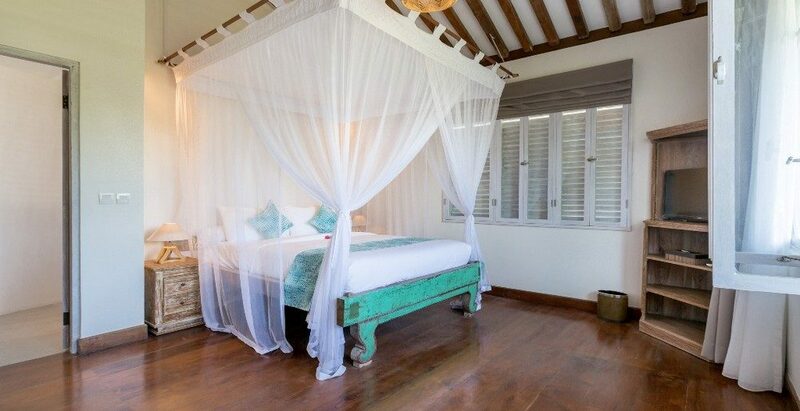 Soft pillows, high quality linen and a beautifully appointed room all make for the type of nights sleep only possible on a holiday. Across this comfort zone, you will find another 2-story building with 2 bedrooms, all has private bathroom with bathtub and shower. 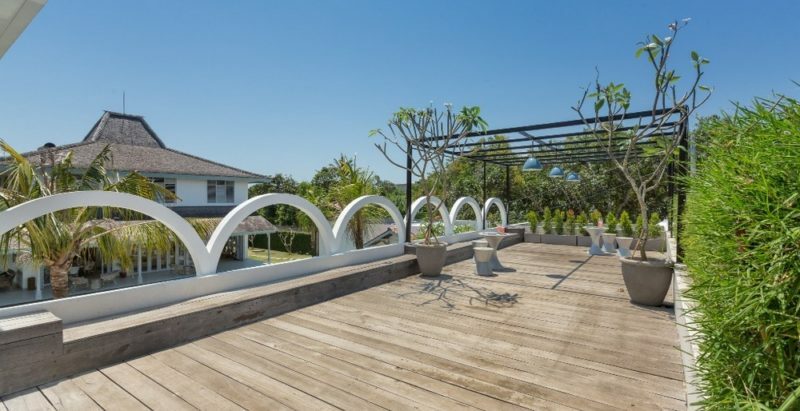 With a warm sunny pool deck and outdoor bar for to fulfill your tropical senses, you can have a little relaxation in the morning with fresh squeeze orange juice and your favorite book to read under the pool umbrella or have yourself a little tanning on the sun loungers. 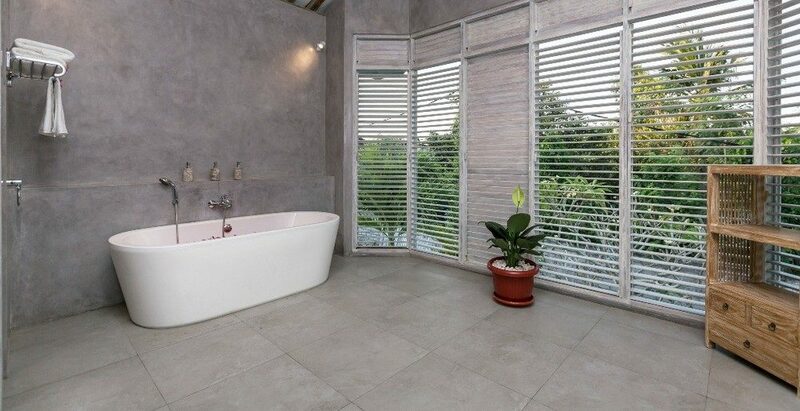 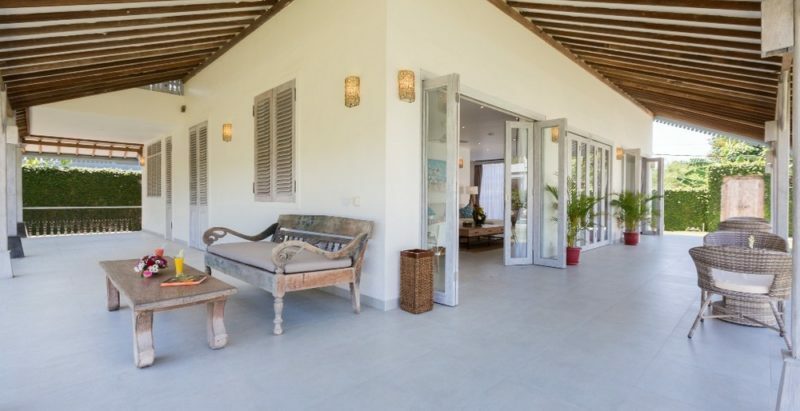 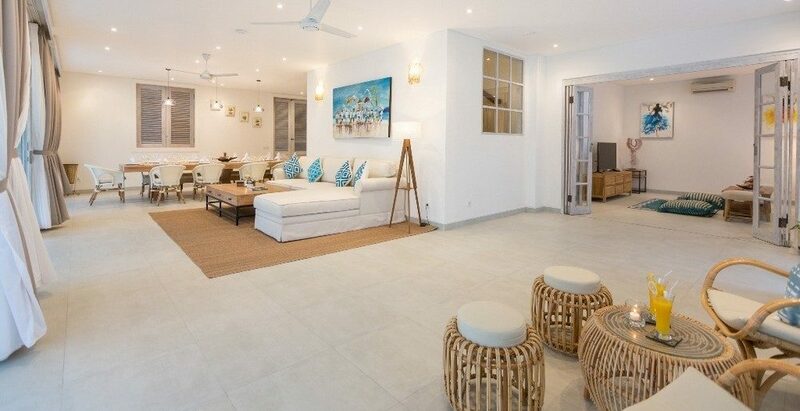 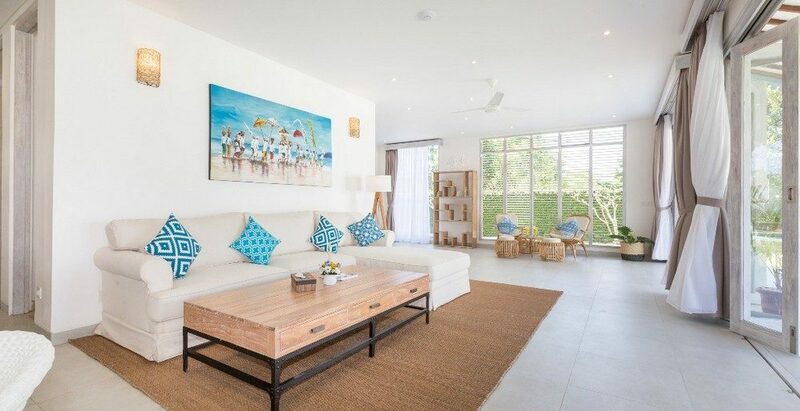 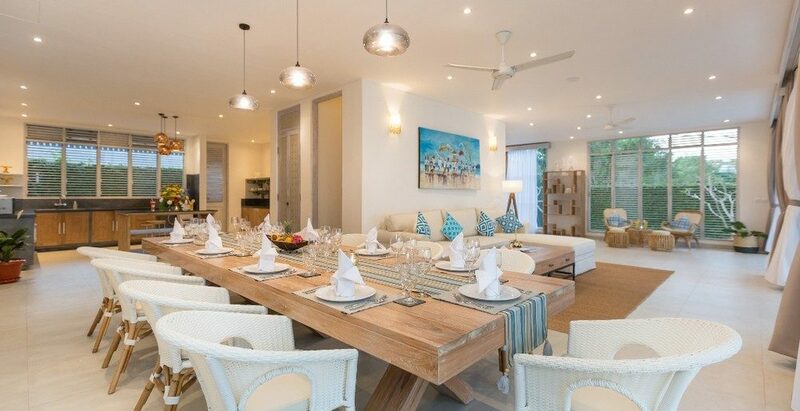 Spacious and uninterrupted views of the tropical gardens featuring beautiful lawns and a large swimming pool. 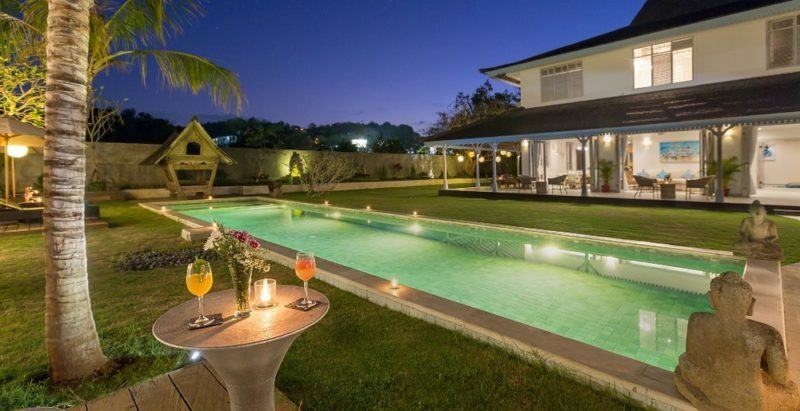 The garden boasts quality sun loungers, and umbrellas for poolside relaxation and a large modern bale for family fun by the pool, or romantic dining with your loved ones.